Waldport, Oregon were called home. Patricia contracted Polio in 1949, and over the last twenty years she had suffered from post polio syndrome. Her desire for knowledge was never ending regardless of her health. The last few years she was bedridden. Calls, Cards and letter from family and friends were the highlight of her days. Patricia wrote an autobiography about her brother’s and her journey through their childhood plagued with Polio. From the first stages of being completely paralyzed then being quarantined with no parental comforts or contact. They experienced what seemed like endless painful diagnostic testing. When they were finally released, her Father Leonard and Mother Regina worked tirelessly to support and rehabilitate their children. Although she did not regain use of her left arm, and suffered weakened muscle in other regions of her body she was still able to lead a fulfilling life. Although, the odds were stacked against her she overcame what medical providers said she couldn’t by learning to ride a bike, drive a car, beaded necklaces and did calligraphy and became a pool champion. Being independent and self sufficient fueled her to work hard every day to maintain her independence. In her early 20’s she and her friend Jeff journeyed South America for six months. They hitchhiked and camped seeing many Inca ruins. Her favorite was Machu Picchu in Peru. She also traveled to many other countries accompanied by her Mother and other family members. Patricia loved teaching. One of her favorite jobs was for the Yakama Nation in Washington State, where she ran the Head Start program. Due to living most of her life with disabilities, she was able to effectively teach the children she worked with new ways to live theirs. 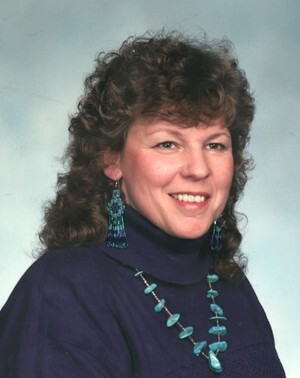 Patricia fell in love with Native American history and culture. Therefore, her home was decorated in many forms of Native art. She also appreciated Niagara Falls from her home state of New York. In California she enjoyed a more laid back lifestyle where she was able to let her spirit soar. Finally, she landed in Oregon where she retired due to decline in health and mobility. She lived by the Ocean in a small community and enjoyed many sunsets. She was the daughter of late Leonard and Regina Belter. She is survived by a brother Paul and his wife, Valerie; nephews Paul E. and his wife, Kathryn; and Eric J. and his wife Samantha; and five grand nephews and nieces; Katelyn, Kevinl Zachary, Tyler, and Evan. She lived a very courageous life. As Frank Sinatra’s hit song “I did it my way”, so did she. Funeral services will be private.